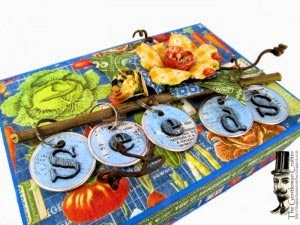 The Gentleman Crafter: Crafty Scrapper Classes...Coming Soon!! Put on your spurs, garden gear and steampunk hats and join me at the Crafty Scrapper in Waxahachie, Texas February 27th and 28th! I have two new classes I'm dying to teach you! The Crafty Scrapper is the most amazing store with tons of cool paper crafting supplies... and the new classroom area is totally awesome! The Seed Collector's Box and Journal is a great way to collect or organize your heirloom seeds for this Spring. The journal is a great to record planting time, how the seeds grew and the seeds success. 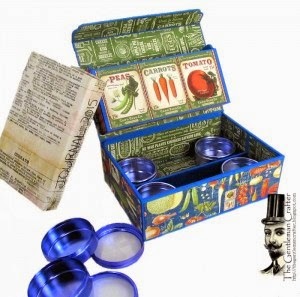 If you are not a gardener, this box makes a perfect place to stash trinkets, beads and findings to be added to your craft projects...just change up the paper. 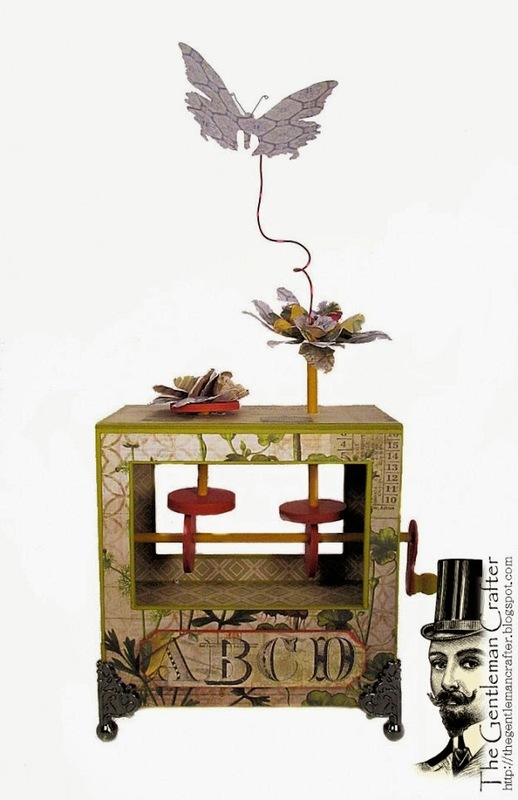 Turn the handle of the Butterfly Automata and the flowers spin and go up and down. This Automata has a side opening tag book for all the techniques that spin around in your head. Please sign up now! It's going to be a blast! Thanks for coming by! Hope to see you soon! Dang ... I am going to have to visit Texas one of these years! Cool projects! Ought to be a fun time! Jim, these are both fantastic projects. Is there any chance you'll put tutorials for these in your store? I have a special place in mind for the Seed Collector's Box. I live too far away to come to TX for your classes, although I sure wish I could. Hi Jim! I'm new here, our mutual friend, with a funny English accent introduced me to you. First of all, thank you for teaching me how to cut chipboard. I have been so frustrated with that stuff, I about threw it out in the lawn for the animals and birds to make homes with it. So, again, thank you. I'd like to second what Sieglinde said about Virginia. We are freezing out here and it's a good time to scrap and create. So can we get the plans for the seed box since I can't afford to fly to Texas to attend your class? I'll say pretty please? I have one other question for you...do you only use graphic 45 papers? I love them too. Unfortunately, they aren't always easy to get out here in Northern Virginia. So do you have another favorite?